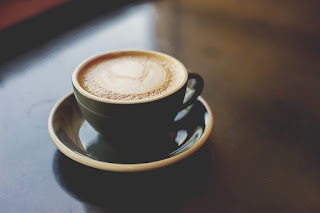 April 10-16 is UK Coffee Week and to mark the occasion, we have provided you with a list of 15 interesting facts about the world’s most popular hot beverage. 1. Approximately 2.25 billion cups of coffee are consumed around the world on a daily basis. 2. Coffee is now more popular in the UK than tea. That’s right, according to a recent report, Brits spend 60% more on coffee than they do tea. Wowzers. 3. In the UK, people between the ages of 50 and 64 are the most likely to consume and spend money on coffee. 4. Coffee is also hugely popular across the pond with 54% of Americans drinking at least one cup on a daily basis. 5. On that note, the average American spends a whopping $1092 on coffee per year. 6. You are most receptive to the effects of caffeine between 9.30am and 11.30am, with 10.30am being the ideal time to consume a cup of coffee. 7. Contrary to belief, energy drinks still don't have as much caffeine as the coffee sold in chain outlets such as Starbucks and Costa. 8. Black Ivory coffee is the most expensive in the world. But guess what? It’s actually made from elephant dung! 9. 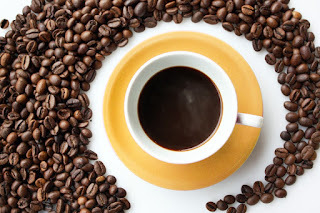 According to a study back in 2013, drinking a cup of caffeinated coffee can significantly improve blood flow. 10. The term ‘Americano’ comes from World War II. Government Issued soldiers from the US would order an Espresso before diluting it with hot water. 11. Unless consumed in very large quantities, coffee doesn’t actually dehydrate you. 12. Coffee is the second most traded commodity in the word, with oil being the first. 13. Brazil is the largest producer of coffee in the world, and has been so for the last 150 years. 14. George Washington invented coffee - but not that one! A Belgian man living in Guatemala by the same name invented it way back in 1906. 15. Coffee has been found to reverse the liver damage caused by alcohol. And before you ask - no, this doesn’t mean Irish coffees are healthy! Remember to share your opinions with us over on our Facebook and Twitter pages.